Don't you just love when you find a company that not only has products that are cute and adorable, but also takes time to give back to children in need. 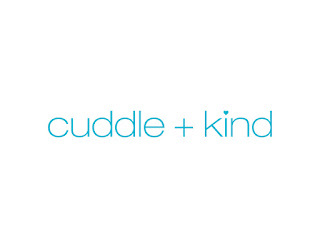 That's exactly what cuddle+kind is all about. I was recently introduced to this company and fell in love with them. 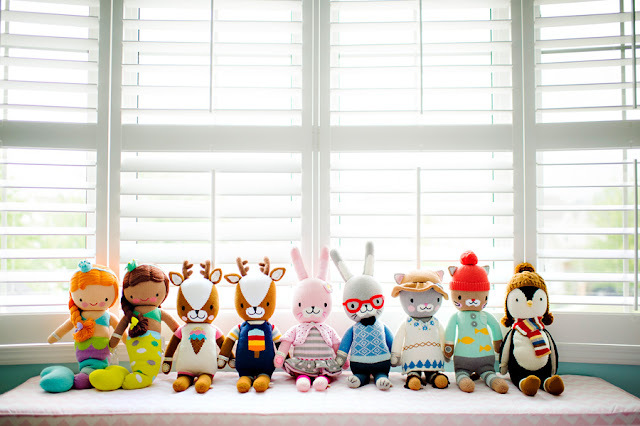 cuddle+kind sells adorable, high-quality, hand-knitted cotton dolls for kids of all ages. Not only are these dolls beautiful, but they're also making a difference. For every cuddle+kind doll purchased, this amazing company provides 10 meals to hungry children around the world through their partners, World Food Program USA and Children’s Hunger Fund. It breaks my heart to know that their are kids out in the world who aren't fortunate enough to have meals provided for them. Being a parent to three kids, I know how important it is for kids to have three nutritional meals a day. Along with snacks, these meals help keep our children healthy and strong. They're our future, we have to take care of them. This is why I love what cuddle+kind stands for and how they help those children in need. As parents themselves, they want to help improve the lives of children all over the world and to make a difference. There are nine different dolls to choose from. The dolls are Artisan handmade in Peru and hand-knitted using 100% cotton. Each doll is beautiful, unique and stylish. They would be the perfect cuddle buddy for your little one. They would be great baby shower gift, birthday or Christmas present. To find more about these adorable dolls and more about how cuddle+kind is helping feed children all over the world, be sure to head to www.cuddleandkind.com and follow them on Facebook, Twitter, Instagram and Pinterest. To buy one of these beautiful dolls for your little one, be sure to head over to their INDIEGOGO page.